There is nothing easier and more comforting than a good old fashioned dump cake for those summertime gatherings. 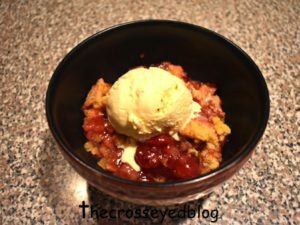 It is so versatile, because you can use different types of fruit such as blueberry, cherry, raspberry or use any other type of fruit which you might want in a cobbler. 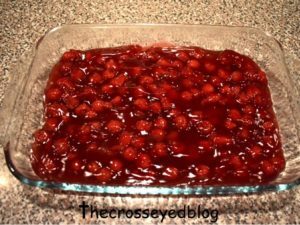 Spread out both cans of cherry pie filling evenly in the bottom of a greased 13″ x 9″ pan. Using a big spoon, evenly spoon out crushed pineapple as well as juice on top of the cherry pie filling. It may look soupy, but do not worry. 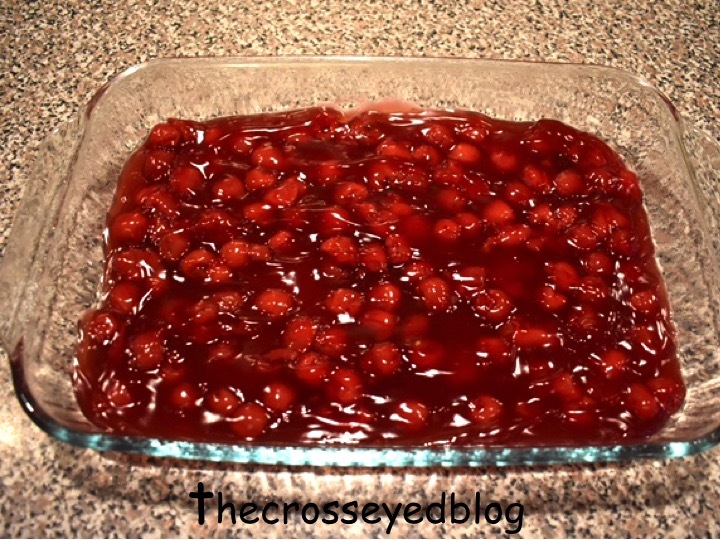 It will get soaked up in the next step. Sprinkle yellow cake mix evenly on top of the pineapple then pour the melted butter evenly on top of the cake mix. 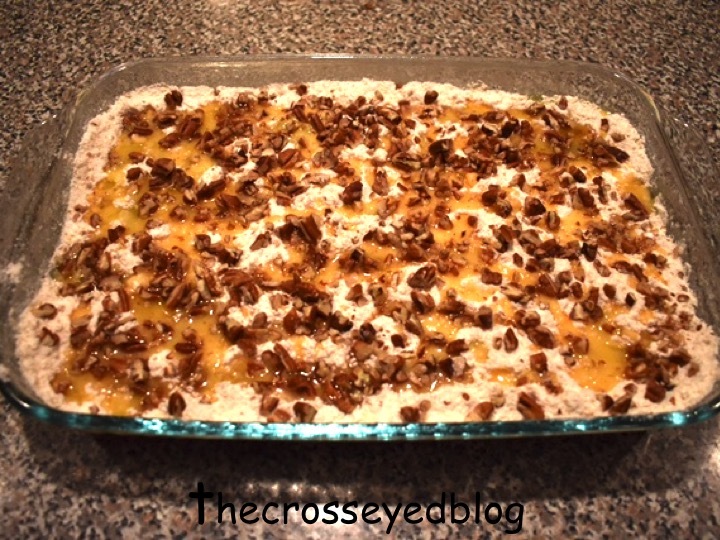 Sprinkle the chopped pecans on top of it all. Bake at 350 degrees for 40-50 minutes until golden brown and bubbly. Best served warm with ice cream or even whipped cream. I used to make a variation of this for my dad after he got diabetes. He used to love dessert and would eat anything you put in front of him. However, he wasn’t a big fan of sugar-free or a restricted diet! 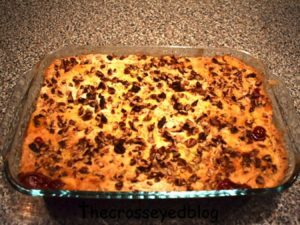 So, I would make this dump cake with fresh blueberries instead of the cherry pie filling, the pineapple, cake mix, butter and pecans. 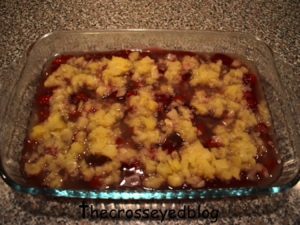 Dessert is kind of a no-no for a diabetic, but at least his only had sugar in the cake mix and the natural sugars in the fruit. So, if you wanted less sugar, you could just add fresh fruit as the bottom layer and still use all of the other ingredients. 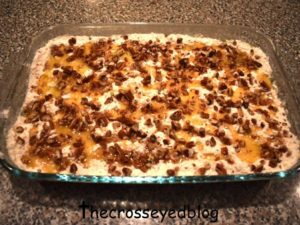 It will still turn out super yummy as well!